Move aside, Harley Quinn! The Dark Knight and The Man of Steel are taking over! Batman and Superman are gearing up to dominate DC Comics this March! DC Entertainment is excited to announce their next variant cover theme month, Batman/Superman, with a second round of opaque black polybags concealing stunning cover artwork by the comic industry's most talented artists! These variant covers will debut in March 2016, timed to the release of Batman v Superman: Dawn of Justice. DC Entertainment's ongoing monthly themed variant cover program will showcase variants for ten of DC Comics' most popular Batman and Superman titles. All ten comics will have three black polybagged variants of equal quantity of pencils, inks and colored covers. These Batman/Superman variants are the latest in a variety of monthly themes. DC has released two of the 10 covers below, for Batman #50, a polybagged variant cover by Jim Lee and Superman #50, a polybagged variant cover by Kaare Andrews. 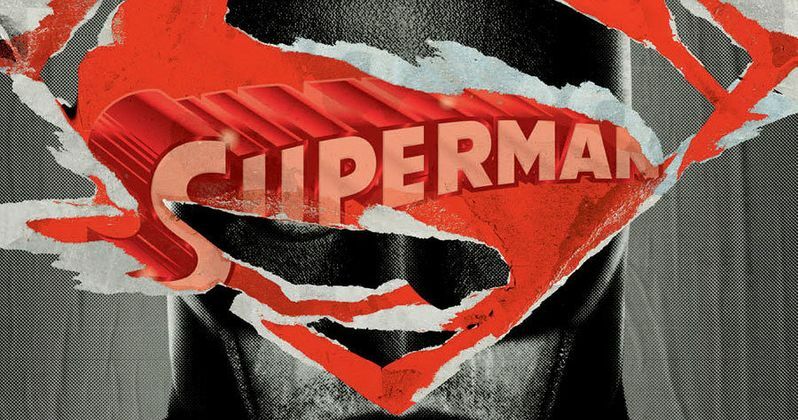 Each of these covers feature designs similar to Batman v Superman: Dawn of Justice posters, where Henry Cavill's face was obscured by the Batman logo, and Ben Affleck's face was blocked by the Superman crest. It isn't known when DC will release the cover artwork for the other comics featured in this variant theme. The other comics receiving polybagged variant covers include Detective Comics #50 by Rafael Grampa, Batgirl #50 by Kevin Nowlan, Grayson #18 - Polybagged variant cover by Stephen Platt, Robin: Son of Batman #10 by Ryan Ottley, Batman/Superman #30 by Tony Moore, Action Comics #50 by Martin Ansin, Superman/Wonder Woman #27 by Charlie Adlard and Wonder Woman #50 by Massimo Carnevale. It isn't known if the Wonder Woman comics will feature Gal Gadot or not, so stay tuned for more details. Batman v Superman: Dawn of Justice brings both Batman and Superman to the big screen for the first time, while featuring other iconic DC Comics characters such as Wonder Woman (Gal Gadot), Lex Luthor (Jesse Eisenberg), and Alfred Pennyworth (Jeremy Irons). This adventure is also expected to introduce the rest of the Justice League, The Flash (Ezra Miller), Aquaman (Jason Momoa) and Cyborg (Ray Fisher). While we wait for more details on this big screen adventure, check out the first two variant comic book covers featuring Batman and Superman.